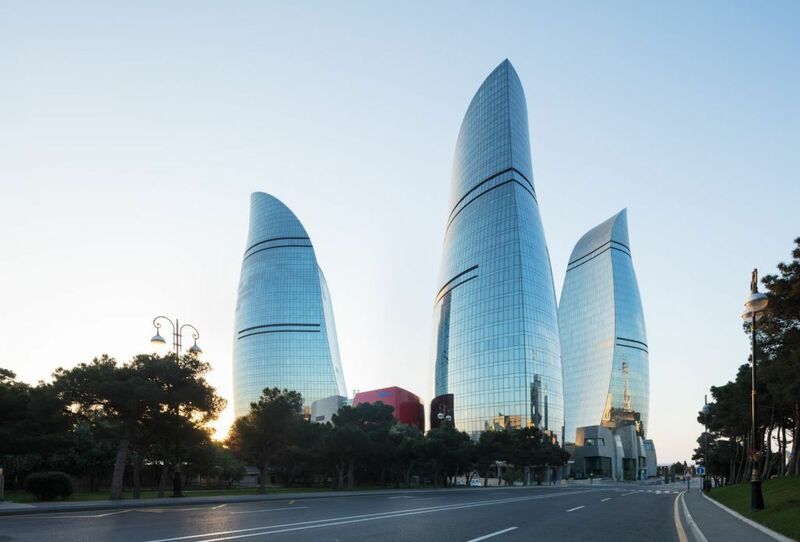 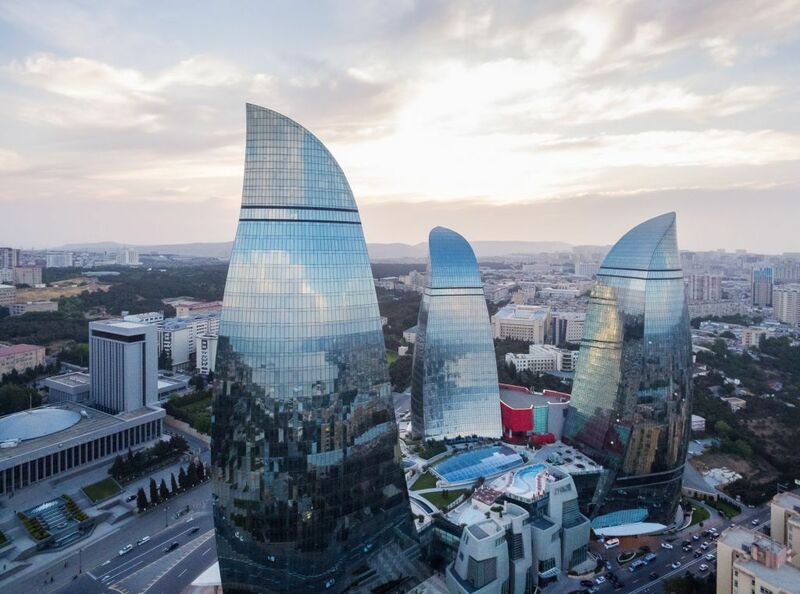 Baku Flame Towers is a striking new addition to the skyline of Baku. 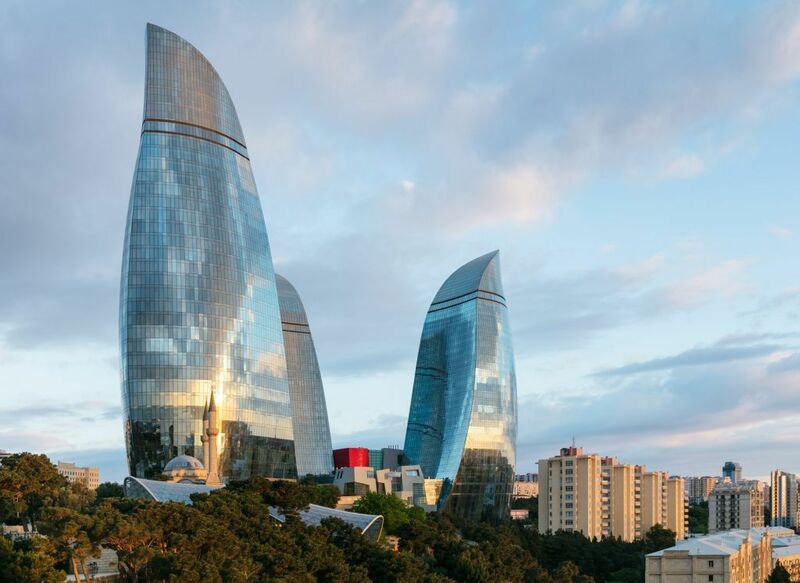 Inspired by Azerbaijan’s long history with fire worshipping, the towers will be an eternal flame for a modern Baku. 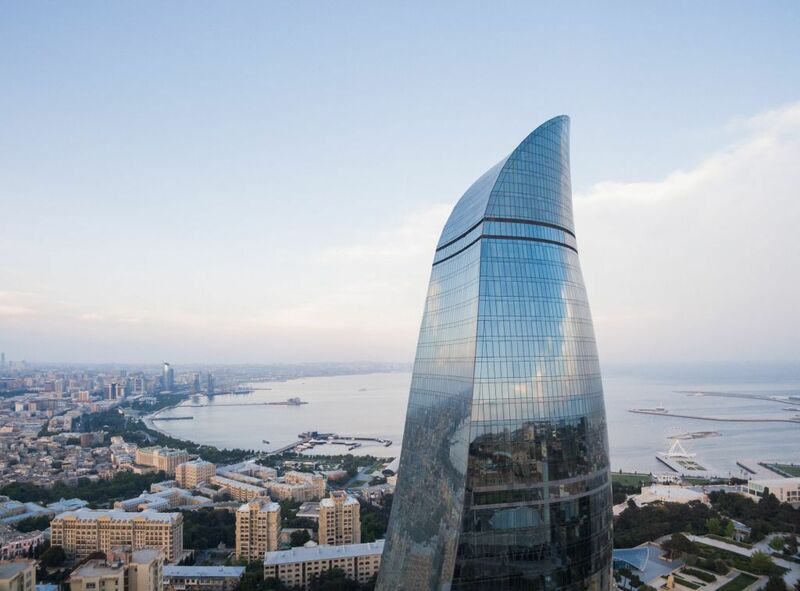 Located on the Caspian Sea in Azerbaijan, the site is situated on a hill overlooking Baku Bay, the old city center and the park. 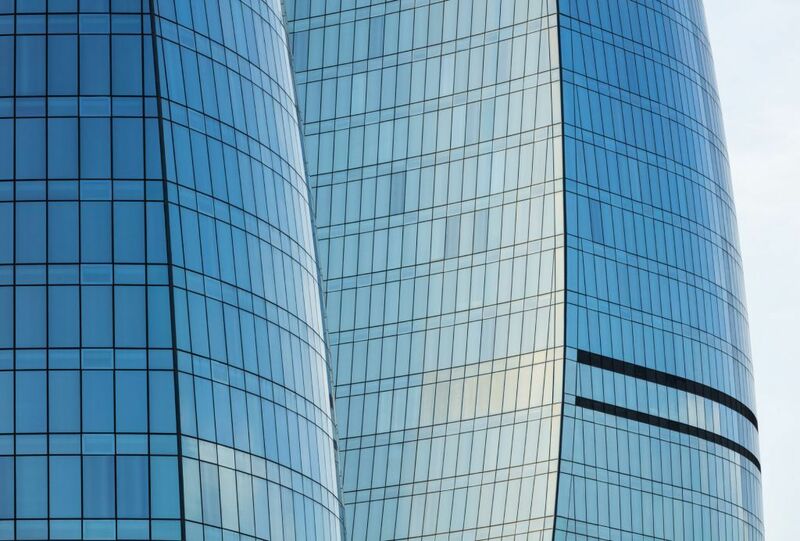 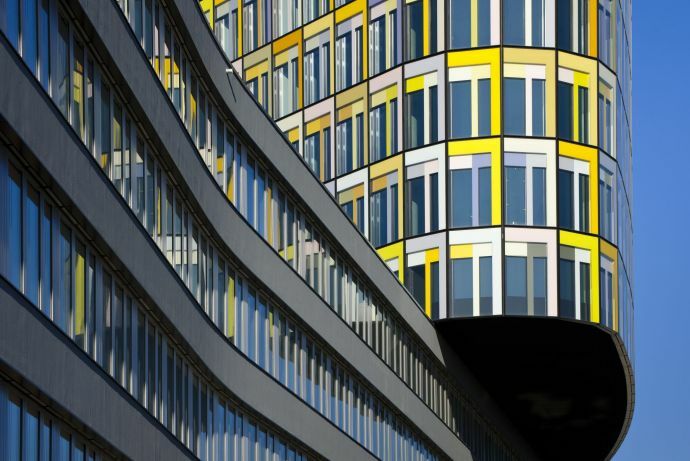 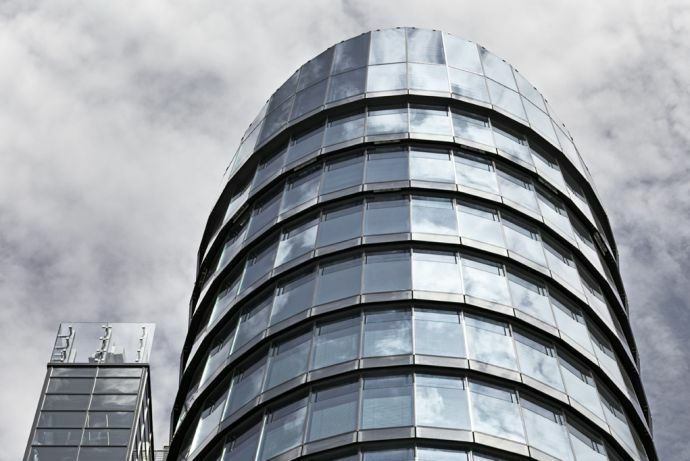 With a site area of approx 28,000 m², the project consists of three towers located on a retail podium. 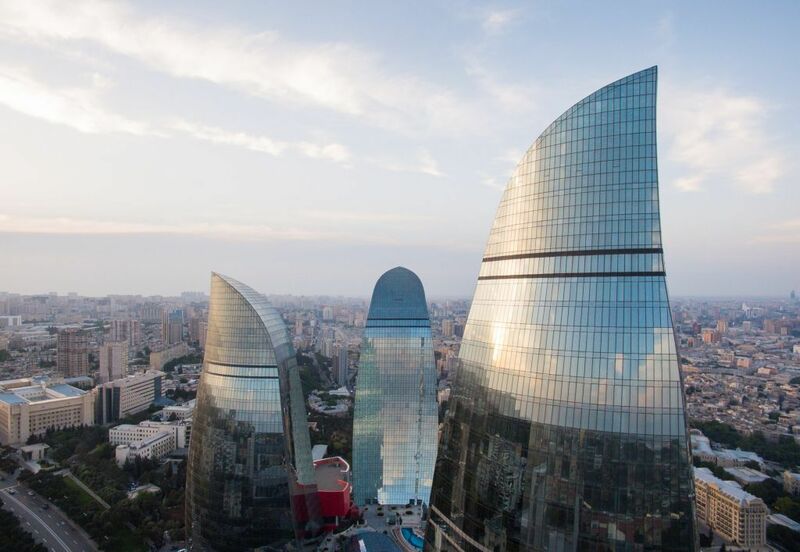 The total construction built up area of the project is 245,000 m².